roasted blue cheese stuffed mushrooms. 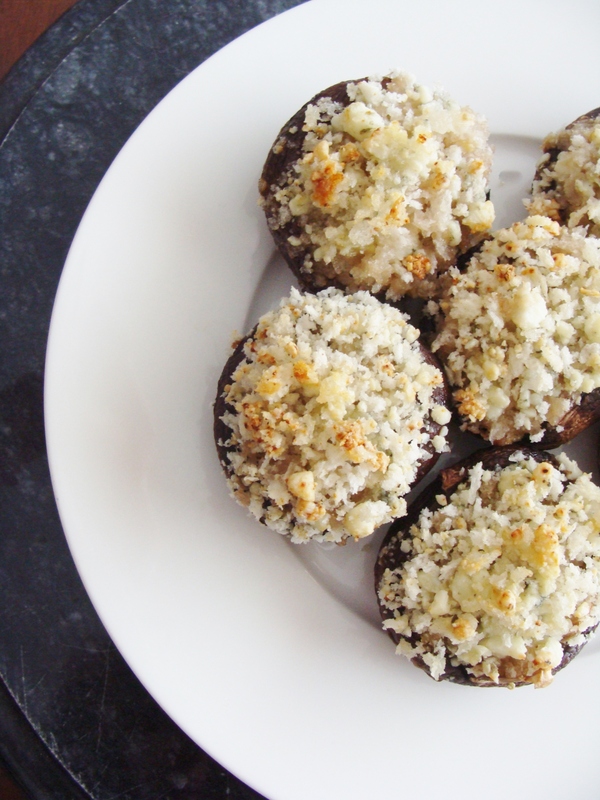 In the spirit of the Super Bowl (um…) and delicious, salty, cheesy foods, I bring you these stuffed mushrooms. Mushrooms are the perfect blank palette, really. You can fill them with whatever you want. I just happened to choose seasoned Panko bread crumbs, garlic, and oodles of blue cheese. You could choose any cheese you like: feta, Gorgonzola, mozzarella, Parmesan…I love cheese. Sigh. Clean the mushrooms, and remove the stem. Place them bottoms up on the baking sheet, and brush the mushrooms with one tablespoon of olive oil. 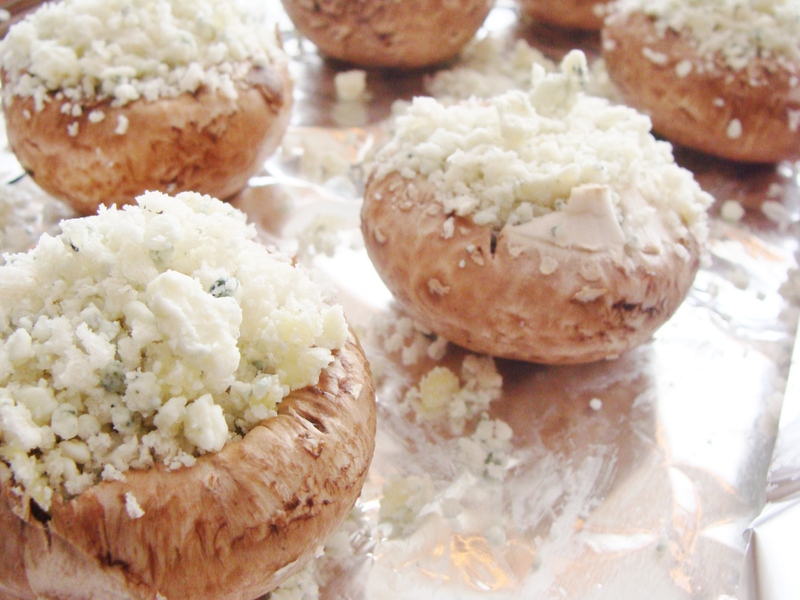 Then, scoop one tablespoon of blue cheese crumbles into each of the mushroom cavities. Disclaimer: I may have tried to stuff more than one tablespoon of cheese in there. Sue me. In a separate bowl, combine the minced garlic and the Panko bread crumbs, and season the mixture with salt and black pepper. Drizzle in one tablespoon of olive oil and mix well. 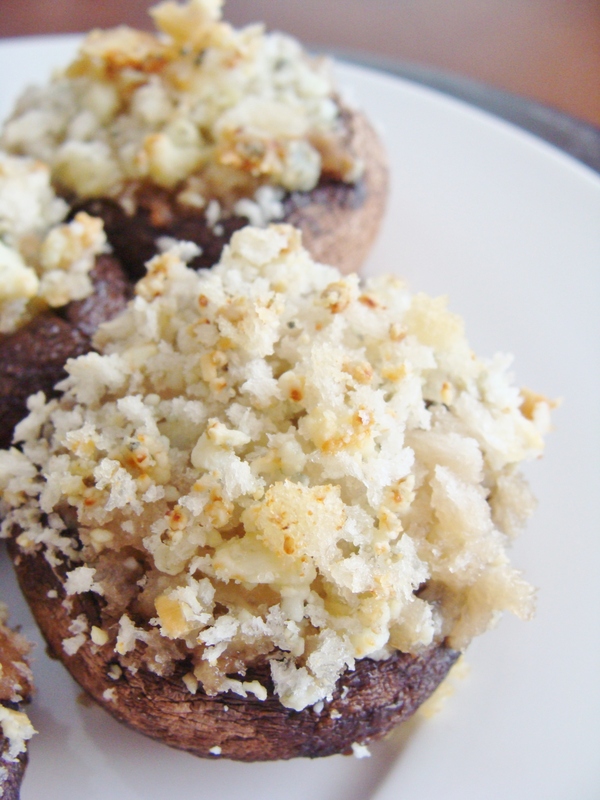 Put a spoonful of the breadcrumb mixture on top of the blue cheese in each mushroom cavity. Bake for 25 minutes—the mushrooms will be tender, and the cheese will be melted. 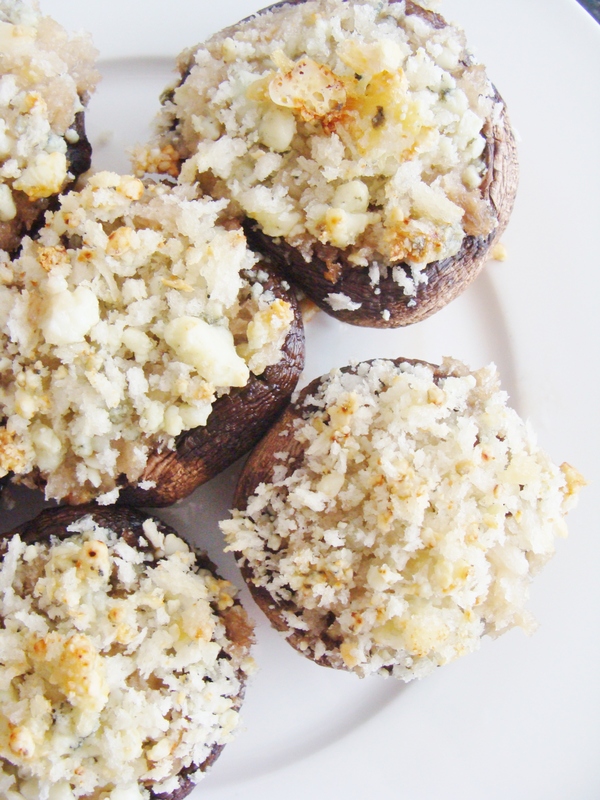 You are currently reading roasted blue cheese stuffed mushrooms. at The Cheesy Kitchen.